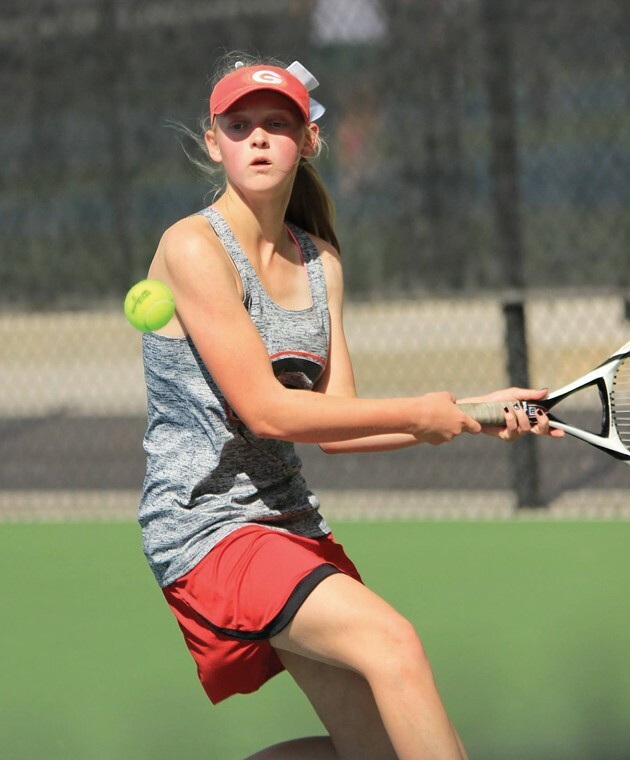 The Grantsville girls tennis team disregarded the Salt Lake City newspapers’ predictions about who would win Region 13 and outscored Judge Memorial by 2 points and Waterford by 5, taking first place Friday. 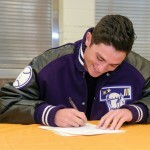 The newspapers had predicted other squads would reign as region champs. Grantsville wasn’t “in the picture,” GHS coach Stephen Thurgood said. For the Cowboys, Marissa Linares and Maci Jackson placed first at No. 2 and 3 singles and Paige Peterson and Lexi Colson placed first in No. 1 doubles, with sisters Brooklyn and Brynlee Butler taking second in No. 2 doubles. Additionally, Kayla Johnson took fifth place at No. 1 singles. She came back from a loss in her first match against Judge Memorial and won her next two. Linares said she could tell Martheswaran was playing to her backhand, trying to attack what she might have thought was Linares’ weakness. Linares said she suspects she will meet Martheswaran again at state this week. In Jackson’s final round against Amy Robinson from Judge Memorial, she found herself down 5-1 in the first set. She came back to beat Robinson 7-5 in that set and then capped it off with a 6-1 trouncing. Her previous matchup with Robinson in region play was just like that championship match. In the prior match, she also came back from a 5-1 set to win 7-5, but with the second set, it was a bit closer at 6-3. First doubles had a bye for their first match, and then lost their next match to Morgan 6-1, 6-0. Then, after losing the first set 1-6 to Judge Memorial’s Anna Drossos and Olivia Anderson, they came back to win the next two 6-3, 7-5. At No. 2 doubles, the Butler sisters triumphed in their first match against Summit Academy, 6-3, 6-0. Then, they won Morgan in three sets. After a first set loss of 4-6, they followed up with 6-1, 6-3 wins and then they lost 3-6, 0-6 to Judge’s Ellie McCoy and Veronica Start. There are a few kinks Thurgood would like to smooth out with the Butler sisters as they go into state playoffs. He would like to see them establish more consistency, he said. Grantsville will go on to the state tournament on Thursday and Saturday at Salt Lake City’s Liberty Park. 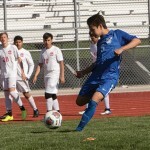 Stansbury and Tooele will both be well-represented at this weekend’s Class 4A state tournament at Liberty Park, with a large number of players earning the right to compete with solid performances at last week’s Region 11 tournament in Ogden. Stansbury’s Victoria Fidler will enter the first singles bracket as the No. 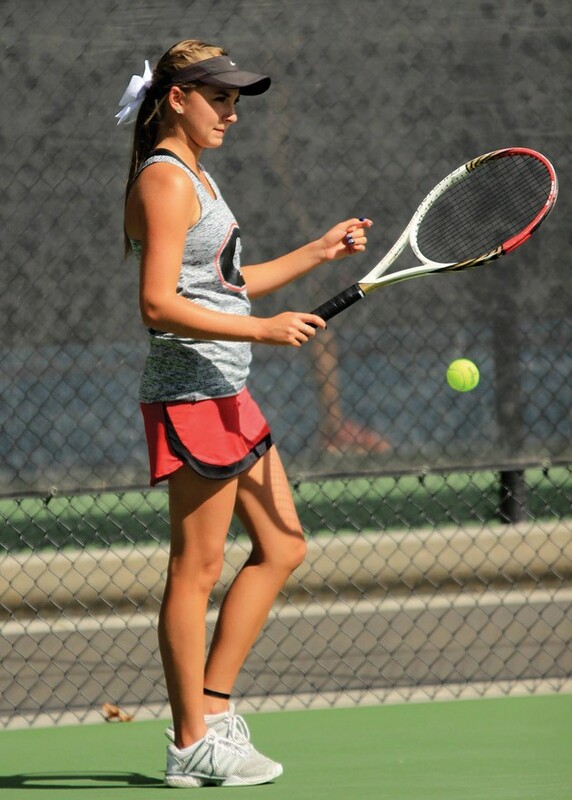 2 seed from Region 11, and will face Dixie junior Angela Crooks, who finished third in Region 9, in the first round. 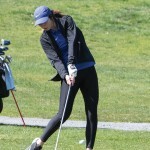 She will be joined by Tooele junior Pia Lorbeer, who finished third in Region 11 and will face Region 9 runner-up Brielle Callahan of Pine View. Stansbury senior Chanda Bigelow earned the No. 4 seed from Region 11 in third singles, and will face Region 12 champion Lucy Lyons of Ridgeline in the first round. Stansbury’s Maddie Johansen and Hannah Anderson earned second place in first doubles, and drew Snow Canyon’s Charlotte Apple and Addie Southam in the first round. On the other side of the bracket, Tooele’s McKenna Baker and Kammy Hamilton finished fourth in Region 11 and will face Region 9 champs Erica Evans and Abbie Carmack of Desert Hills. 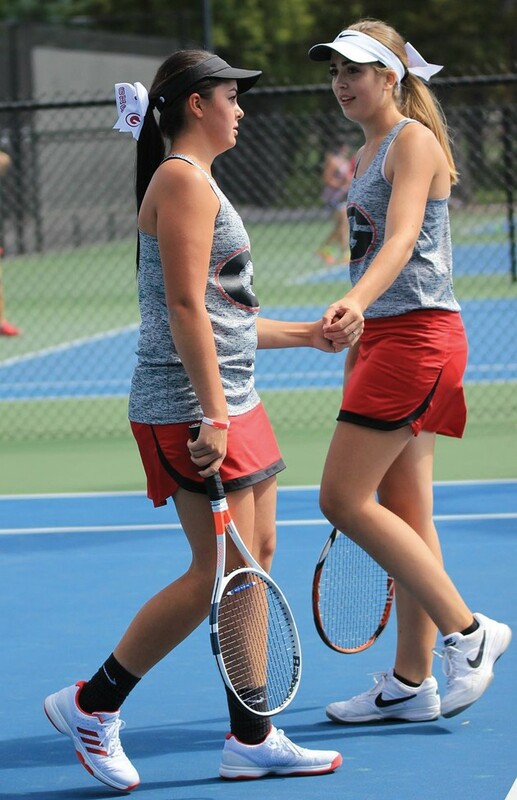 In second doubles, Stansbury’s Mia Thurber and Kenzi Knudsen earned the No. 2 seed and will face Spanish Fork’s Erica Allen and Tessa Clayson in the first round. The Class 4A tournament begins Friday and concludes Saturday.